What's corn on the cob without butter? Porcelain butter dish holds a standard stick of butter. We all work so hard so when we have a chance to bring a little whimsy and a smile to our families faces we do it for love. 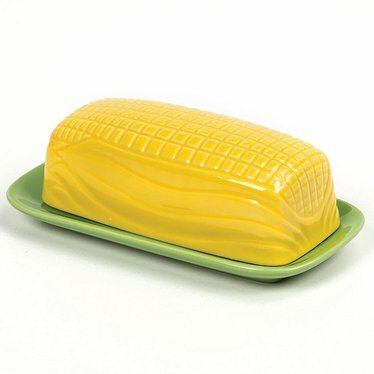 By buying the corn butter dish I have not only replaced a broken butter dish I have done it in style at a reasonable price. I know that my pocketbook is happy and that it definitely brightens up my table at meal time.